Free Apps for your iPhone, or more likely your kid’s, can cost you a lot…$100? $500? Ever wonder how people make money when you download a free app for your smart phone or tablet? 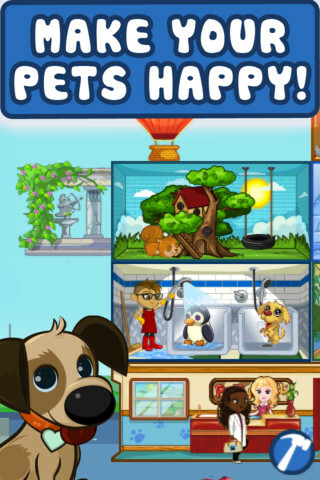 So did I, until I read this article about Apple’s app store on zdnet.com, and downloaded the free Tap Pet Hotel on my iPhone. It’s a cute game app: you build a pet hotel and attract pets by building more rooms and giving treats. You can also buy treats for similar prices. Apple aims games at kids, calls them “free,” then seduces them into spending big money to continue to play. There’s a warning on the download screen that purchases are available in the app, but I bet most kids won’t even read the warning, let alone heed it. That’s why this free app is Apple’s #2 grossing game app. This entry was posted on November 1, 2011 at 7:07 pm and is filed under Business ethics, Entertainment, Ethics-general. You can follow any responses to this entry through the RSS 2.0 feed. You can leave a response, or trackback from your own site.